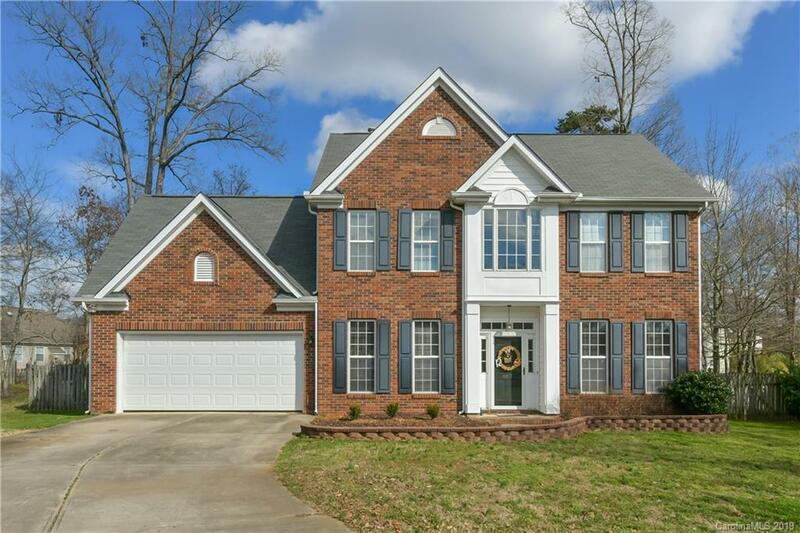 Beautiful, 2-story remodeled brick-front, water facing home in Lake Park. This recently updated home will not disappoint. Wood floors throughout all of the main level. Remodeled kitchen to create an open floor plan to the breakfast nook and living room. Updates include quartz countertops, tile backsplash and stainless appliances. Freshly painted 1-2019. Updated quartz vanity in the downstairs 1/2 bath. Updated lighting and door knobs throughout. The screened in porch leads out to the patio and fenced back yard, the perfect space for backyard BBQ's or to enjoy quiet evenings. Formal dining room with wainscoting. Upstairs you'll find the perfect master suite touting a tray ceiling, updated tile in the master bath and a walk-in closet. Experience everything Lake Park has to offer including shops, restaurants, sidewalks and walking trails, clubhouse, pool, tennis courts and more! New water heater 2016.